How have your running goals been shaking out so far? I’m excited, I’m motivated and getting things done with the start of 2016, and I’m loving it. I’ve also got the spark back for running, and looking forward to getting stronger this winter! 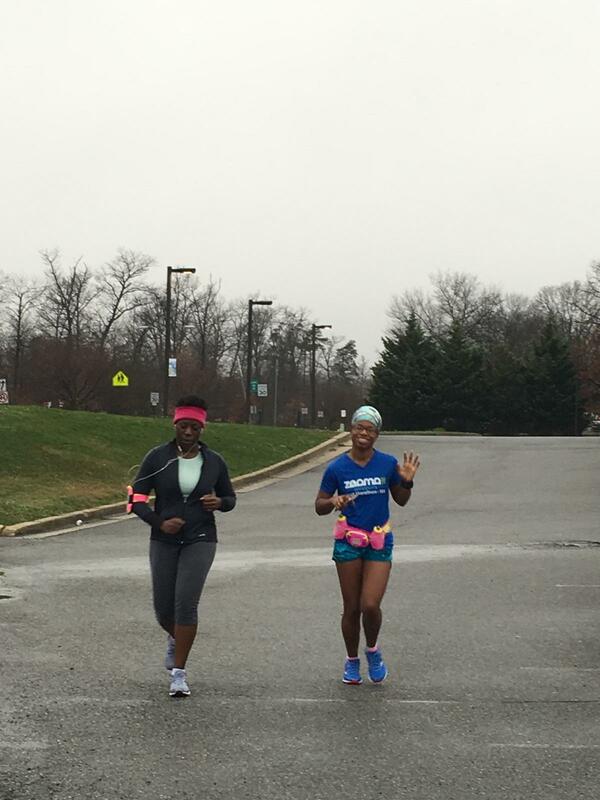 In the first time in what seems like ages, I’m sharing my experience running with Black Girls Run! Laurel as part of the Running Club Roundup! I hope you enjoy reading, and maybe you’ll look to check out BGR in your area! The Running Club Roundup has been such a rewarding experience. A few months ago, I set out to run with every single running club in the Philadelphia area, PLUS run with any running group I can find when I’m out of town. Can you believe another running group has formed in Philly? There are already over 40! Clearly, I have a long way to go, but so far, so good! Running Club Roundups can be found on the blog every first and third Thursday of the month. And now that it’s a new year, I want to be a bit more aggressive with joining those group runs. My original plan was to run with a new group once a week, and that has been tough, but I’m going to try to keep up the momentum. Over the Christmas holiday (when I wasn’t at work – I didn’t take off for vacation this year! ), I spent most of the weekend with my sister in Laurel, Maryland. 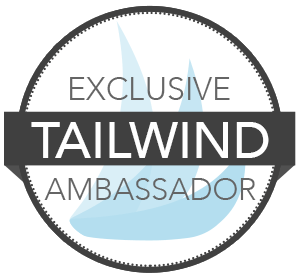 I’ve shared how Jennifer has taken an interest in running though she still won’t call herself a “real” runner for some crazy reason. She has been running with the Black Girls Run! Laurel group on Sunday mornings and she invited me to come along. I was craving a longer run after what seemed like a long drought, so I was looking forward to getting it done with a new group! Black Girls Run! is not just a running club but a movement that’s made waves with dozens of chapters and thousands of members across the United States. BGR! was founded in 2009 by Toni Carey and Ashley Hicks-Rocha who sought to tackle the growing obesity epidemic in the African-American community. Their mission is to encourage African- American women to make healthy living a priority. I’m sure you’ve seen this group of women running in your area. They roll deep and wear a lot of pink and black. And you will often see lots of tutus! They have group leaders who head weekly runs in different cities/neighborhoods and often have shopping events and other special activities for their members. Runners range in experience from complete beginners to ultramarathoners, and I’ve seen runners from their 20’s to their upper 60’s! 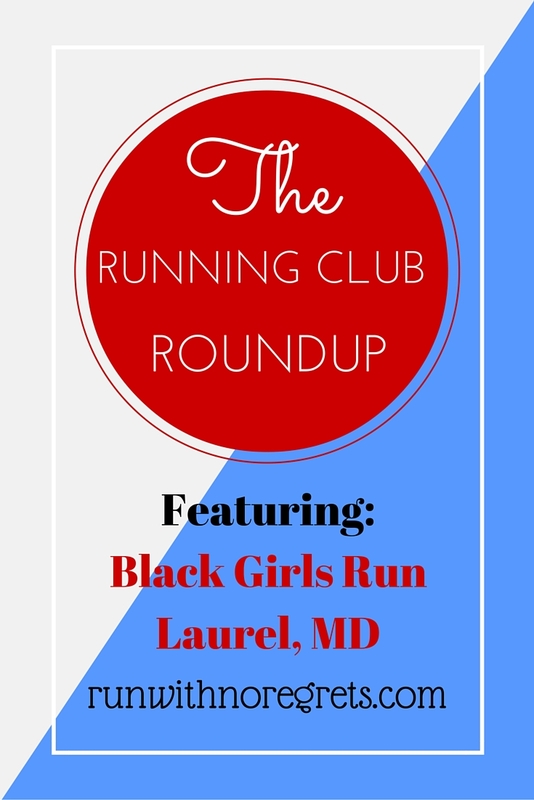 Black Girls Run Laurel meets in front of Laurel High School every Sunday at 6:45 am. Ever since the Annapolis Half Marathon, I just haven’t been running as much. But Christmas week had such amazing weather that I had to get back out there! Jennifer proposed that I run on Sunday morning with Black Girls Run but I have to be honest…I was really tempted to stay in bed! Getting up to meet a group at 6:45 am is a little bit earlier than I’m used to! We took a short drive to the Laurel High School parking lot and thankfully didn’t miss the crowd. It was after 7 am and they were still waiting for people, thank goodness! There were about 10 or 12 runners who made it, a pretty nice sized group considering it was 2 days after Christmas. All the newbies were asked to come to the front and introduce themselves to the group. I was one of 3 visitors. Naturally, I used the opportunity to shamelessly plug my blog and the Running Club Roundup, lol. The ladies were very receptive and teased me for being the only person wearing shorts (it was in the 50’s, not cold at all for running!). Soon it was time to split up and head out. Jennifer went with the 3 mile group that “wogs”, aka walks/jogs. I decided to run 5 miles with two other ladies. There was another woman who ran long, but she went on a separate, flatter course. We were running a giant loop around the neighborhood, which I soon realized was VERY hilly. But I was excited to run a new landscape and meet new people. I had really nice conversations with both runners. We talked about our running experiences, races we’re looking forward to this year, all of that good stuff. It was really easygoing and I felt relaxed the entire way. One of the ladies was struggling a bit, so she had her headphones on and didn’t talk much. But if you know me by now I can talk enough for everybody! I learned more about BGR! and how they really stick to the “no runner left behind” mantra. I really love that! Everyone is really supportive, even though may be at different running levels. It’s just a really positive environment! Soon, the third runner wanted to slow down to a walk about 4 miles in or so, so I stayed behind with her and we finished together, taking short walking breaks. This was the time that we were able to talk, and she shared that this was her farthest run ever. So awesome! I was so glad that I could be part of that milestone with her. She really did a great job. Before you knew it, we were heading back to our starting point. The two of us ended up being the last to make it back to the parking lot. We ended up going a little bit over 5 miles with an average pace of 11:47, a pretty good feat considering all the hills! We were cheered on upon our arrival (that never gets old!) and then we began a group stretching routine. We stood in a circle and did lunges and some static stretches to shake out our legs. Everyone was laughing and having a good time. Then it was time to head off and we all went our separate ways. I really enjoyed running with BGR, and I’d say that this was one of the best experiences I’ve had so far! We were cheered on upon our arrival (that never gets old!) and then we began a group stretching routine. We stood in a circle and did lunges and some static stretches to shake out our legs. Everyone was laughing and having a good time. Then it was time to head off and we all went our separate ways. I really enjoyed running with BGR, and I’d say that this was one of the best experiences I’ve had so far! Black Girls Run! Laurel was such a fun and supportive group. I liked that while different groups split off to run or walk/run, no one was left on their own (unless they wanted to). I was made to feel welcome the entire time and I was able to comfortably chat away with my fellow runners, which is huge for me. It’s also great to get your run done first thing in the morning so that you can enjoy the rest of the day! If this type of environment sounds appealing to you, I’d definitely recommend you try out Black Girls Run! and see if there is a chapter in your area! 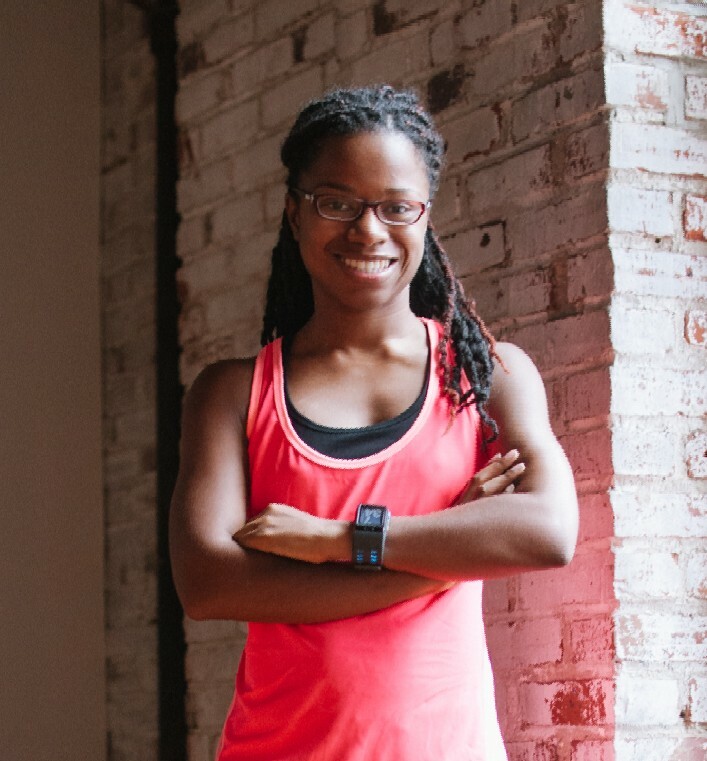 Have you seen/run with Black Girls Run? Have you run any hilly routes lately? I’m sharing this post with the Jill Conyers Fitness Health and Happiness linkup!